Brian Deese is currently serving as Senior Advisor to the President. His duties include overseeing climate, conservation and energy policy and advising the President on a range of domestic and international policy issues. Previously, Mr. Deese served as Deputy Director of the Office of Management and Budget, where he helped to oversee the development of the President’s Budgets and the Administration’s efforts to deliver a smarter, more innovative and more accountable government. Prior to OMB, Mr. Deese served as Deputy Director of the National Economic Council. In this role, Mr. Deese was charged with coordinating policy development on several Administration economic priorities including tax policy, financial regulation, housing, clean energy, and manufacturing. In 2009, Mr. Deese was a member of the team that oversaw the rescue and restructuring of the automotive industry. Before he joined the Administration, in January of 2009, Mr. Deese worked as a member of the Economic Policy Working Group for the Obama-Biden transition team and on the Obama Campaign, where he helped craft the 2008 economic campaign platform. Prior to this Mr. Deese served as Economic Policy Director for Hillary Clinton’s presidential campaign. Previously, Mr. Deese spent three years at the Center for American Progress where he worked as a Senior Policy Analyst for Economic Policy. His work centered on fiscal policy, international trade, and globalization. Mr. Deese has also worked at the Center for Global Development where he co-wrote the book, Delivering on Debt Relief. Mr. Deese is a graduate of the Yale Law School and Middlebury College. Ambassador Susan Rice and Senior Advisor Brian Deese write about new requirements to fully assess the impacts of climate change on our national security. 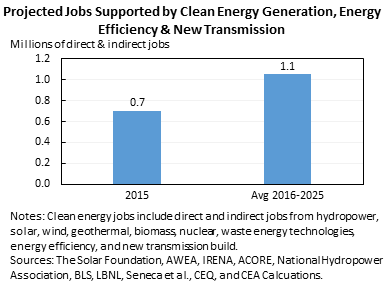 A new target for 50 percent clean energy generation across North America will help the environment, foster growing industries, and support hundreds of thousands of jobs.